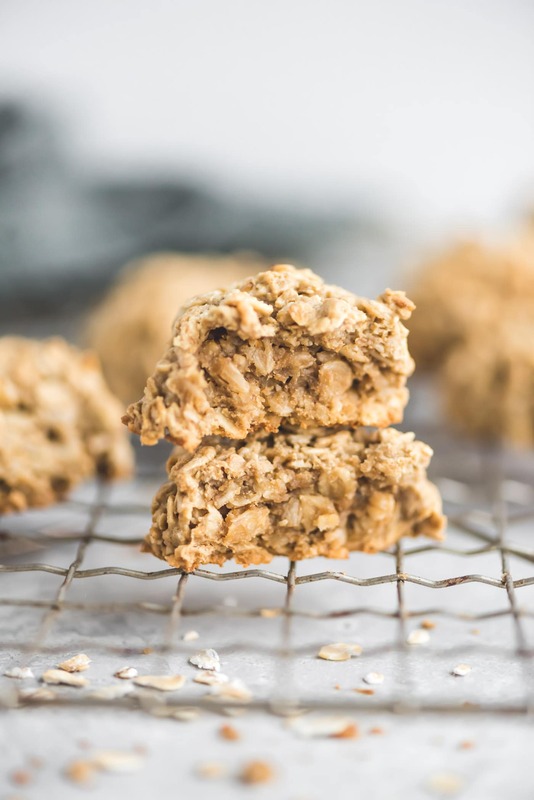 These healthy, easy vegan 3-ingredient oatmeal cookies are made with rolled oats, sunflower seed butter and maple syrup. That’s it! 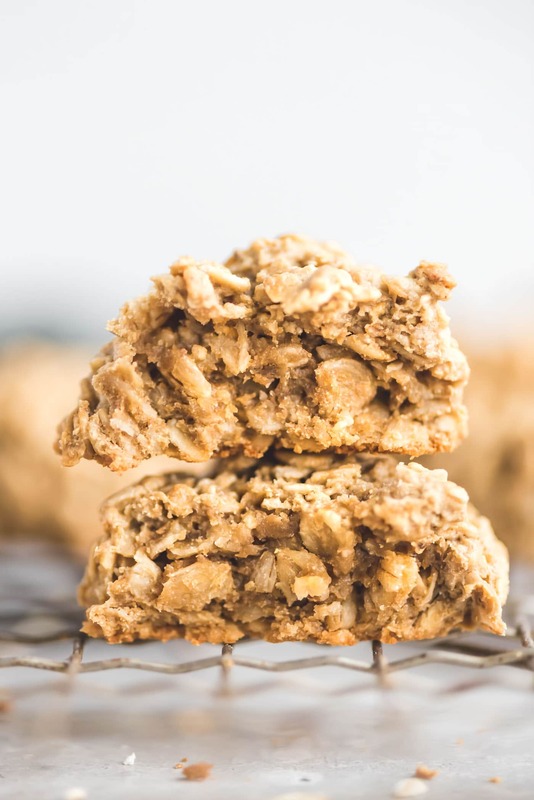 This recipe is vegan, nut-free, gluten-free, refined sugar and oil-free. Rolled oats. 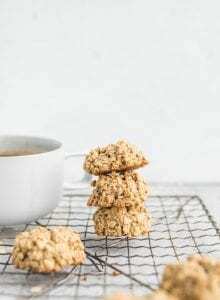 Look for rolled oats, large flake oats or old fashioned oats. 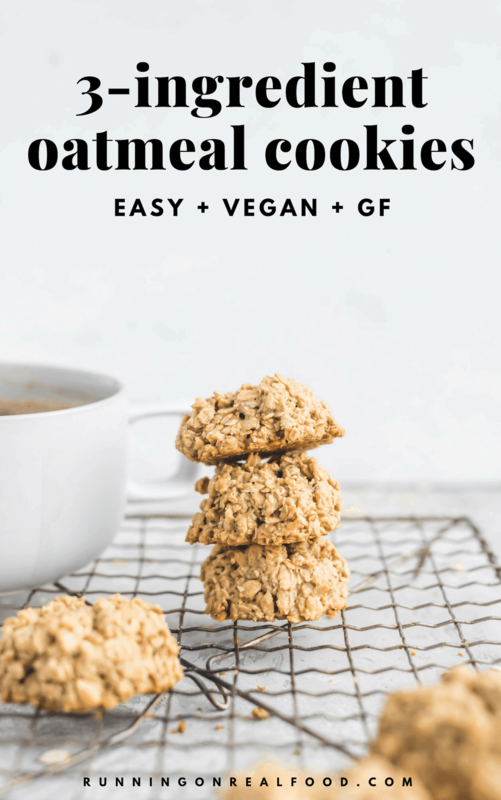 I wouldn’t recommend quick oats or minute oats but they’ll work in a pinch. Sunflower seed butter. I used delicious, creamy sunflower seed butter but you can substitute that with tahini, almond butter or peanut butter. Just make sure whatever you use is fairly drippy and not too dry. 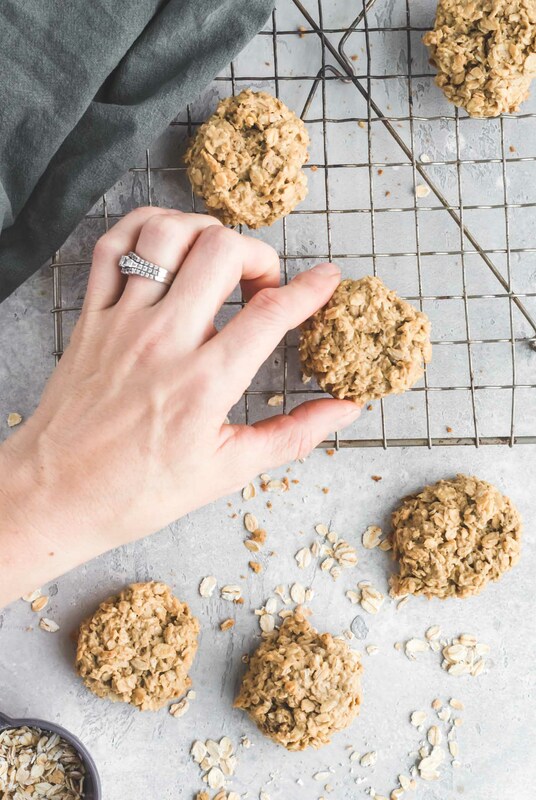 Use sunflower seed butter or tahini for a nut-free oatmeal cookie. Pure maple syrup. Good quality maple syrup has the most amazing flavor ever. You can use dark, medium, amber…any kind works as long as it’s pure maple syrup. The only kitchen tools you’ll need to make these are measuring cups, a mixing bowl, spoon and baking tray. If you have a kitchen scale, I always recommend using one and following the measurements I provide in the recipe. Kitchen scales make accurate, easy work of recipes. You can grab one on Amazon for about 10 bucks. The best thing about these cookies? 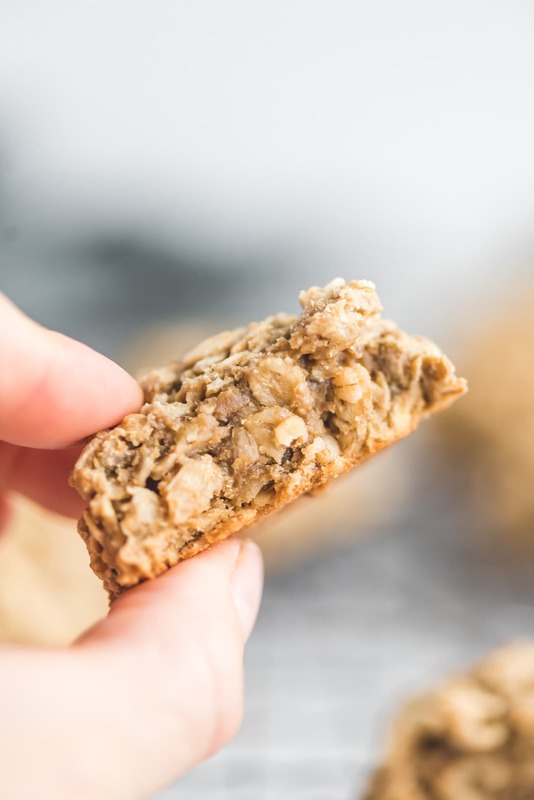 You’ll need just 3-ingredients, a couple of minutes to mix up the cookie dough and 15 minutes of baking time to make them. They have a lovely crispy texture on the outside but they’re a little ooey and gooey on the side. Grab a couple for a quick snack, healthy dessert or anytime you feel like a little something sweet. I kept mine simple but feel free to mix in some chocolate chips, raisins or walnuts. And I’d recommend adding the pinch of sea salt, it’s so good with the sweet maple syrup. 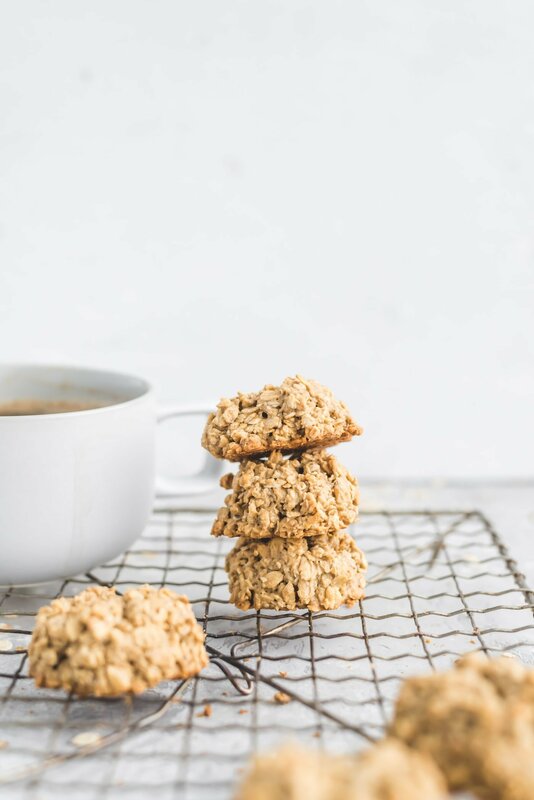 For another yummy option, check out these Gluten-Free Banana Oatmeal Chocolate Chip cookies made rice flour.